A new interview just came out with the cool Blog The Soul Stoned. 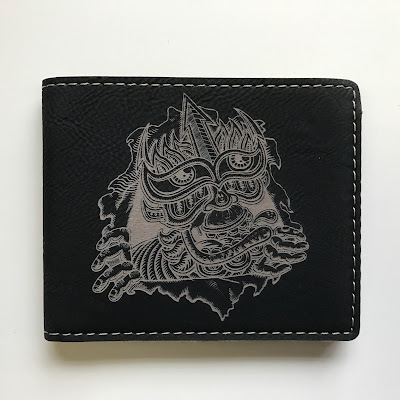 Go and check it out HERE. So I am now offering the Online Version of my Workshop. 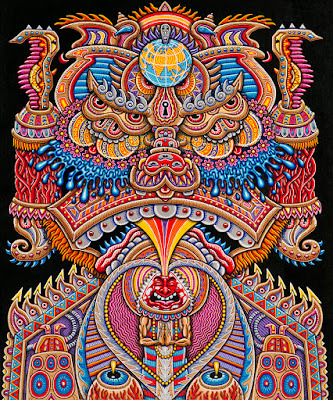 Filmed at Alex Grey's Cosm, it has videos of all my workshop speeches and mt spray painting demo. To order yours or want to learn more, go HERE. 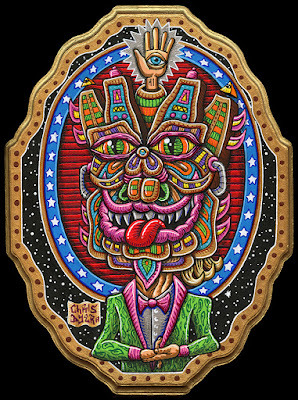 Music Festivals I'll be Live Painting at this year! So this year I will be back in the USA to Live Paint at different Music Festivals! 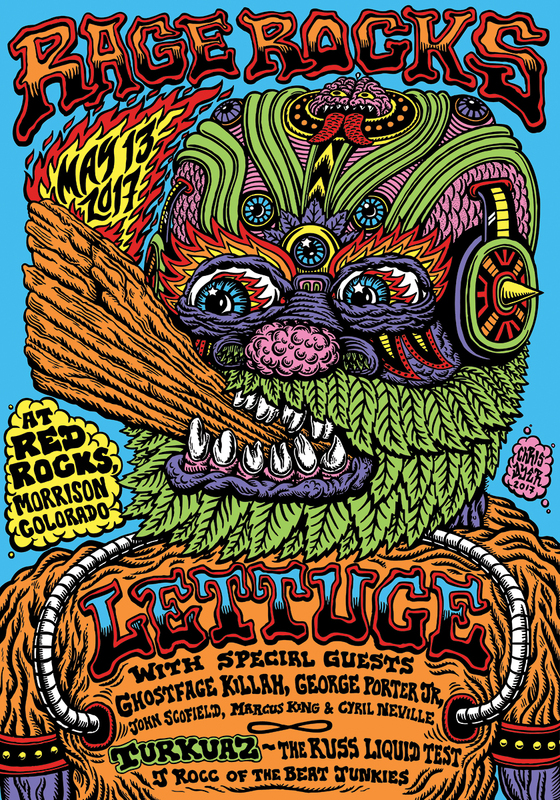 I was so stoked when the awesome funk band Lettuce asked me to do the artwork for the poster of their "Rage Rocks" events at Colorado's legendary amphitheatre "Red Rocks"! 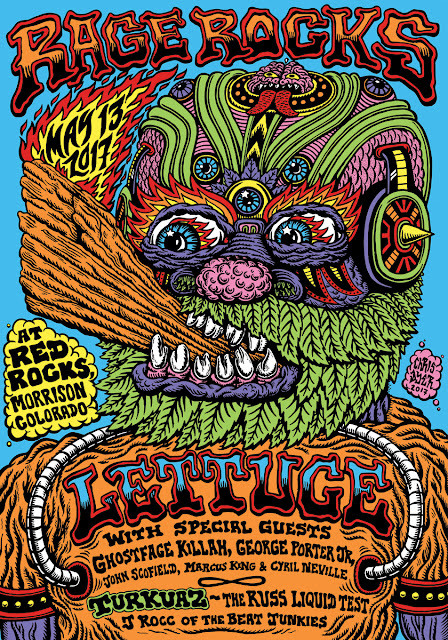 Going down May 13th, they will be making 100 silkscreen posters, and sell them there. I now have a few remaining posters available HERE. 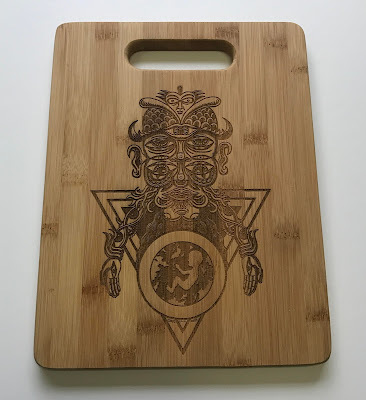 So a couple of new products I just added to my online store www.positivecreations.net is this awesome new Vape Pen and a Galaktic Ripper Mood mat. 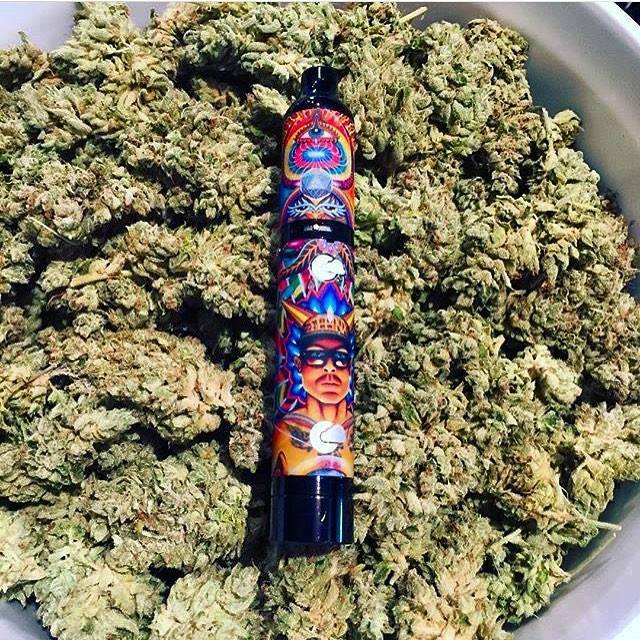 The "Paragon" Cloud Pen is top of the line and has my art on it. 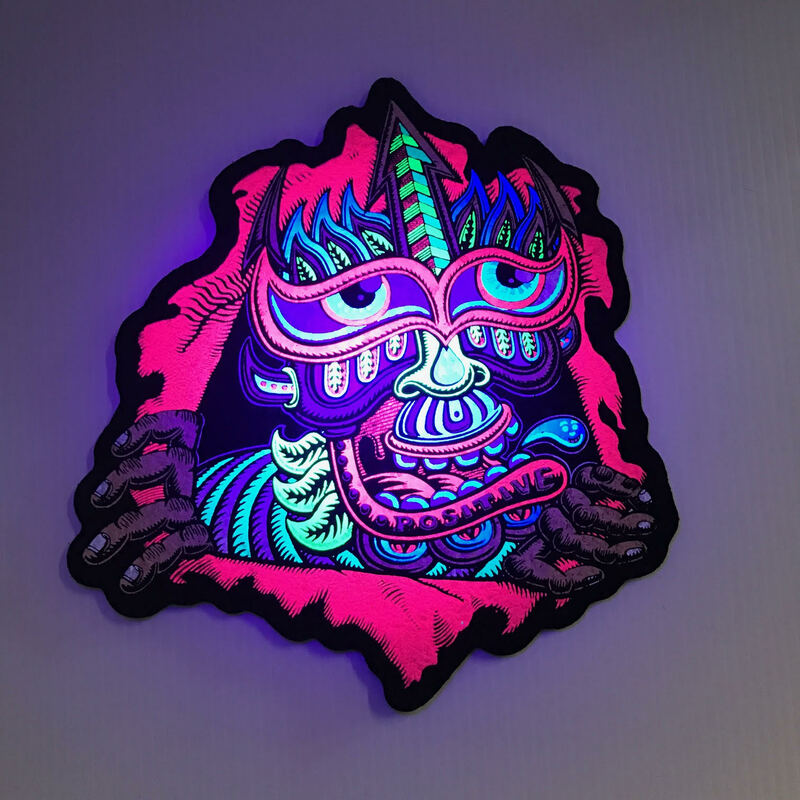 The Mood mat is made to give a nice protection to the bottoms of your bongs/riggs and it also shines under black light! Teaching at the Vienna Academy!! So it's been an honour to be asked to teach at the prestigious Vienna Academy of Visionary Art!! 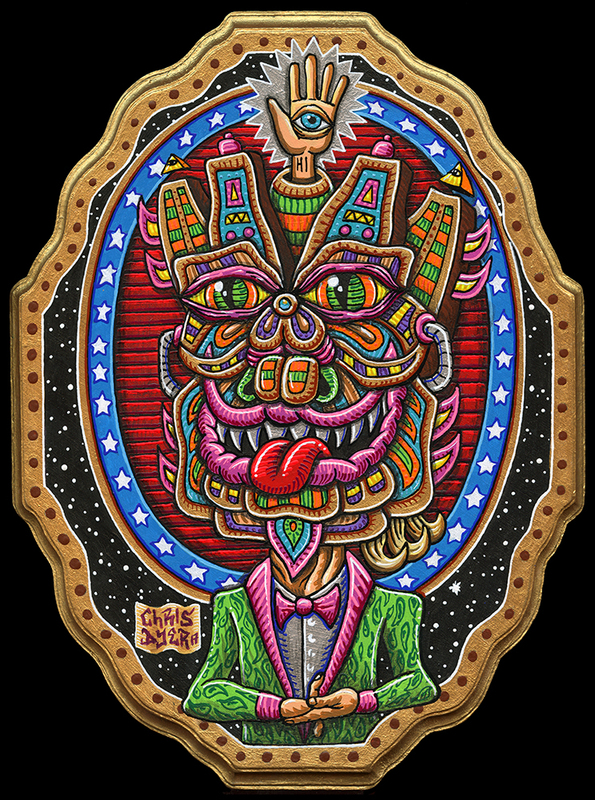 The 2017 Fall Trimester will have my friend Luke Brown n me taking turns to give a month long workshop. SHould be very interesting experience to live in Vienna Austria for a month, teaching n making art!! I have recently teamed up with Cerebral Concepts to make these really cool Lazer Etched products. 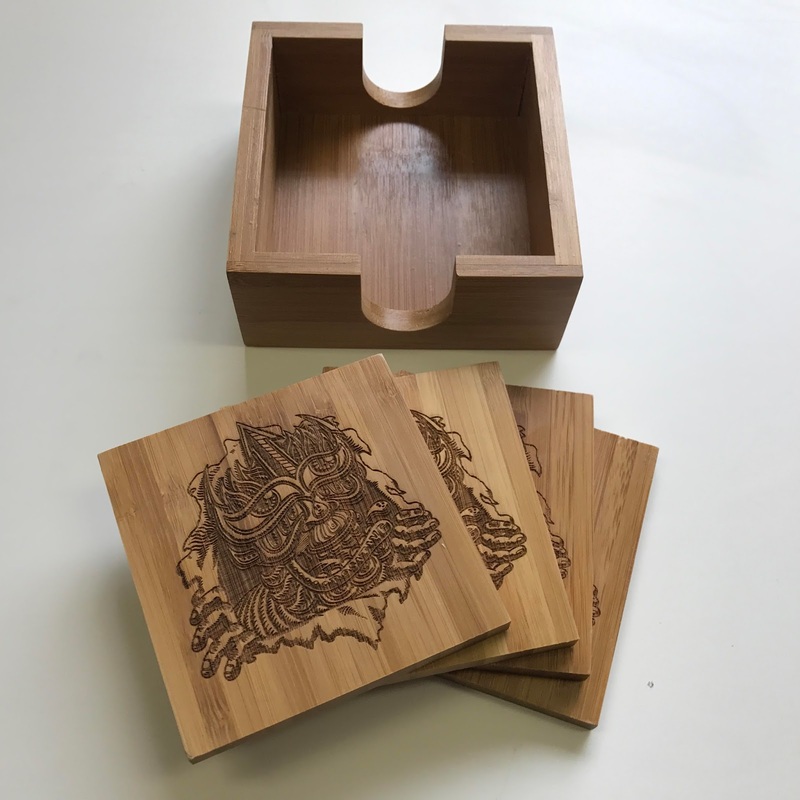 As you can see in these pics, I am offering bamboo coasters, cutting boards and rolling trays. 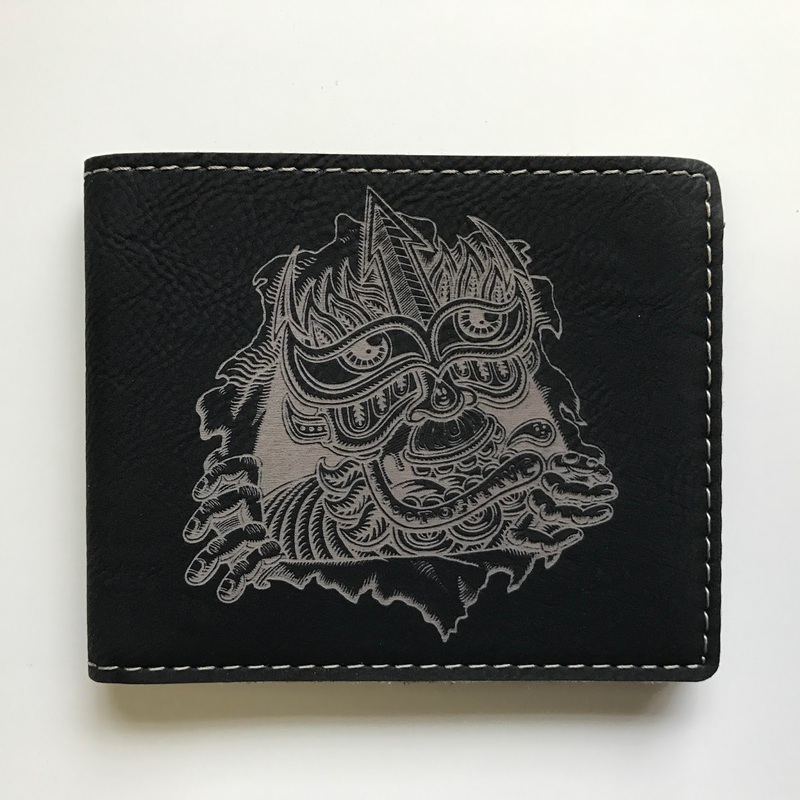 Then also some sweet wallets. 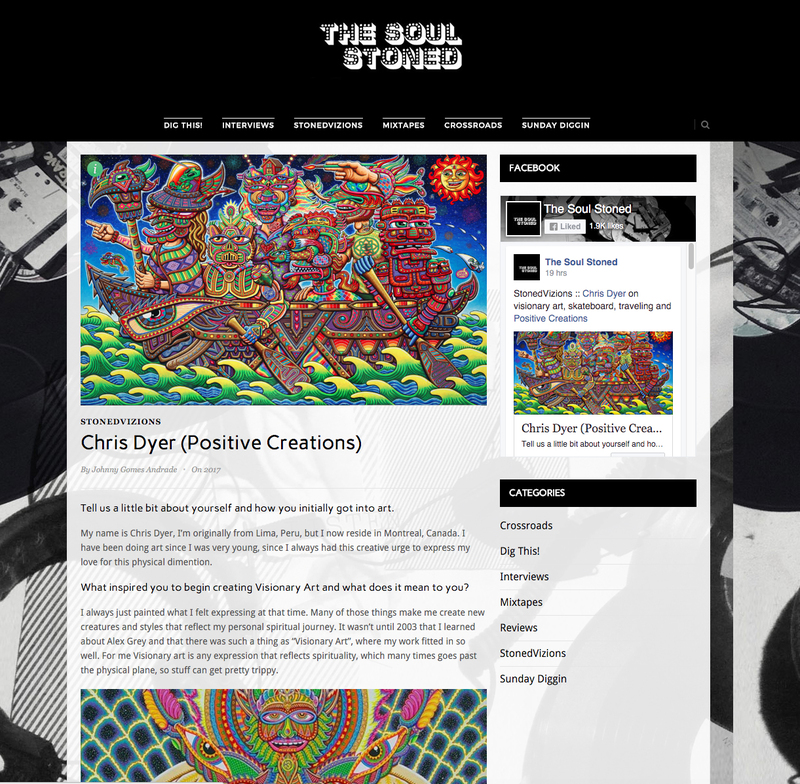 You can get them now at www.positivecreations.net . 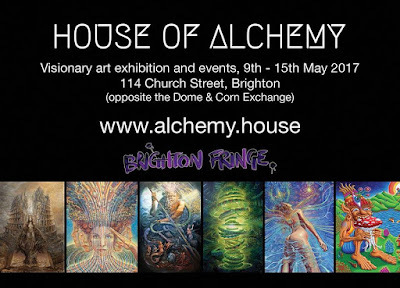 House of Alchemy show in UK. 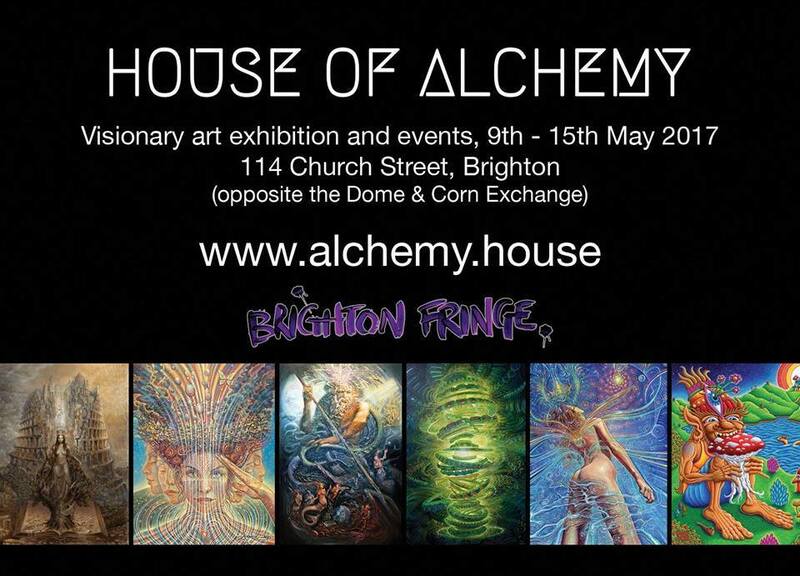 House of Alchemy is a super awesome Visionary Art exhibition that is happening in Brighton, ENgland this 9th to 15th of May 2017. Be there or be square. Soon I will be back to Alex and Allyson Grey's COSM (Chapel of Sacred Mirrors) in the Hudson Valley of New York. 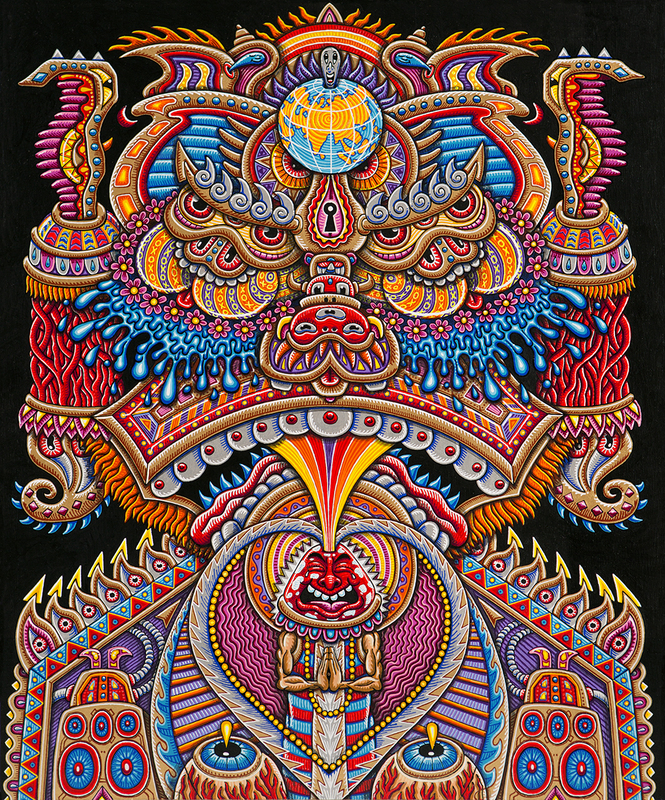 Stoked to return to this beautiful Visionary Art Mecca! 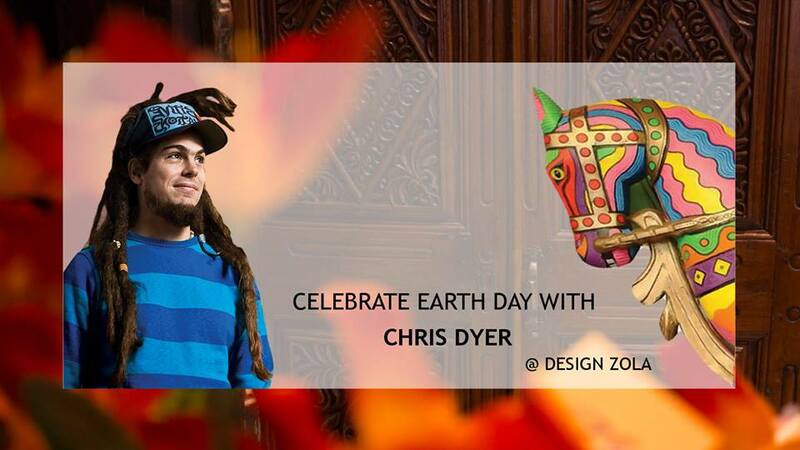 This Saturday the 22nd of April it's Earth Day! I am part of a couple of events to celebrate it. The first one is right here in my city of Montreal, Live Painting at Design Zola, an awesome Indian furniture store on 4441 St Laurent Blvd. I will be there 10am to 5pm, along my friend Barry Walsh (Spoony B) on the Boombox turntables. 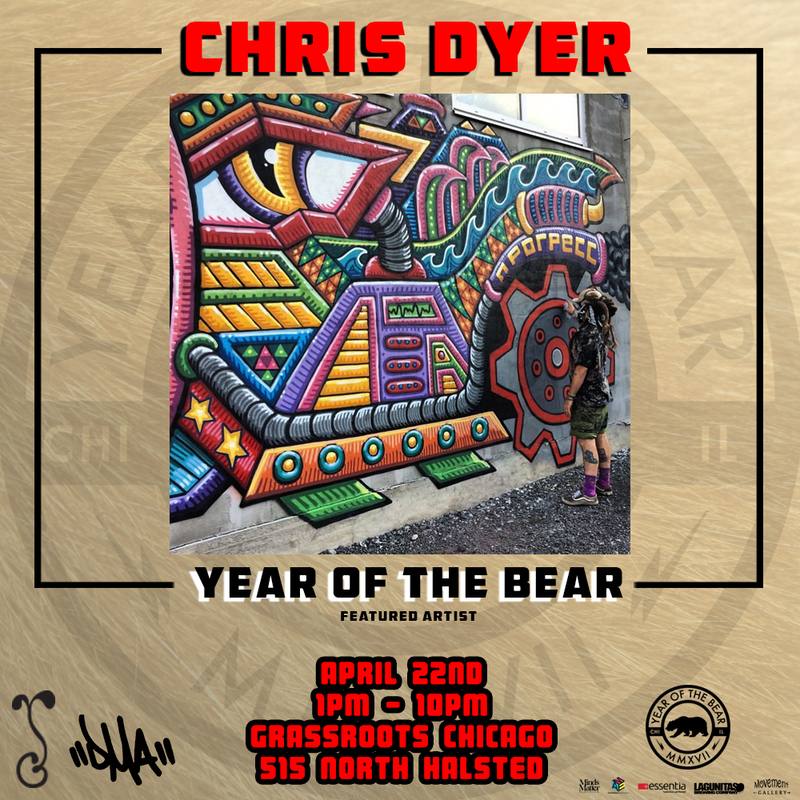 Should be fun, come through! For more info go HERE. 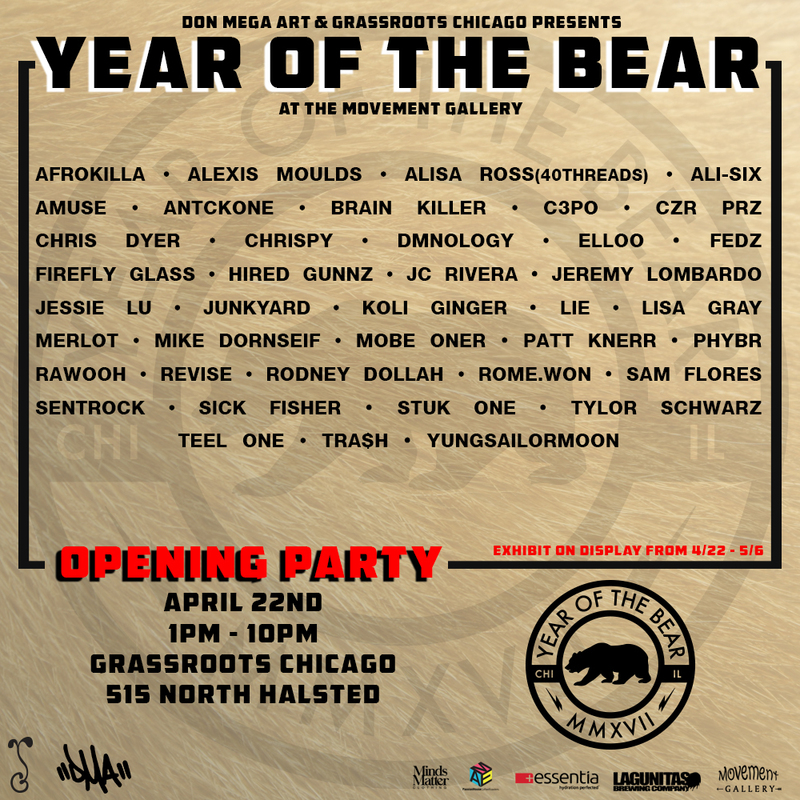 The other event is in Chicago and its a group exhibition called "The Year of The Bear". 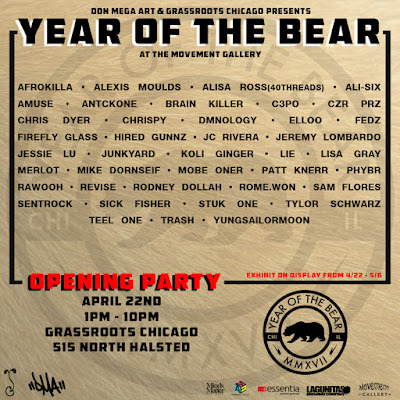 It is happening 1pm to 10pm at Grassroots Chicago's Movement Gallery at 515 North Halsted. I wont be there in person, but I painted something specific for this.